Snake camera finds its application not only in the industrial field, but also there are numerous situations at home when such camera may be quite handy and helpful for the solution of daily problems: leakage or hole somewhere, inspection of the difficult-to-see places in search of small things, such as rings, earrings and similar. It can be used in the apartment, house, countryside accommodation. The cable allows the connections to the power source, monitor / recorder. As mentioned above, snake camera is needed when nothing else (like eye or hand) helps, but even if it shows us what is going on in some place with a very limited access, there is still a problem, how to get things we need out of this place. For this purpose, among the auxiliary accessories, a special magnet is provided, which may be used if the camera operator wants to grab something small, hidden from his / her reach. In addition, a few attachments to the camera allow the inspection to be carried out from different angles, enabling us to inspect every part of the place under inspection thoroughly. PCE-VE 200 is an industrial snake camera, endoscope or borescope for the non-destructive evaluation (NDE) of engines, machines and more. This industrial snake camera PCE-VE 200 provides excellent image quality at an affordable price. PCE-VE 200 is a snake camera or inspection camera, for nondestructive evaluation (NDE) and machine diagnostics. The PCE-VE 200 snake camera provides excellent image quality at an affordable price. An ideal camera tool for diagnosing hard-to-reach places, the scope can be rotated 180 ° and offers 6 LED lights with adjustable intensity for optimal illumination. In addition, digital image magnification or zoom of up to 4 times is available. This Clamp Meter has been developed to determine indirectly, the the AC/DC currents with high accuracy. 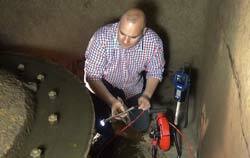 A non-contact clamp meter and a torch to illuminate the area being measured, have been integrated into this device. The small size of this Clamp Meter, makes it possible to use in small spaces with limited access. The snake camera PCE-VE 300-H is the optimum for experts and development engineers. Choose between many different cables for the snake camera. This snake camera not only gives you an optical insight into the inner workings of machines and systems without first disassembling them, it also allows images and video sequences of the components to be inspected to be stored directly in the device. The optimal tool for inspection of industrial machinery and equipment. 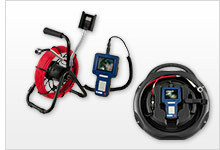 The Snake Camera PCE-VE 250 is a diagnostic tool with integrated cleaning function. This makes the Snake Camera PCE-VE 250 ideal for use on machine components. The cleaning can be done either with compressed air or compressed air in conjunction with water and or detergents. PCE-VE 200-S is an industrial snake camera, endoscope or borescope for the non-destructive evaluation (NDE) of engines, machines and more. This industrial snake camera PCE-VE 200-S provides excellent image quality at an affordable price. PCE-VE 320N is a snake camera, inspection camera or industrial endoscope for the non-destructive inspection (NDI) of engines, machines and more. This industrial snake camera is an ideal tool for diagnosing issues in hard-to-reach places. The waterproof snake camera head features 4 LED lights with automatic illumination. - Diameter camera head: Ø 5.5 mm / 0.22"
- Cable length: 1 m / 3ft 3"
PCE-VE 200-S3 is an industrial snake camera, endoscope or borescope for the non-destructive evaluation (NDE) of engines, machines and more. This industrial snake camera provides excellent image quality at an affordable price. The snake camera PCE-VE 200-S3 you can buy here in our shop. PCE-VE 330N is a snake camera, inspection camera or industrial endoscope for the non-destructive inspection (NDI) of engines, machines and more. This industrial snake camera is an ideal tool for diagnosing issues in hard-to-reach places. - Diameter camera head: Ø 5.5mm / 0.22"
- Cable length: 2 m / 6ft 6"
PCE-VE 200 is a snake camera or inspection camera for nondestructive evaluation (NDE) and machine diagnostics. The PCE-VE 200 snake camera provides excellent image quality at an affordable price. An ideal camera tool for diagnosing hard-to-reach places, the scope can be rotated 180° and offers 6 LED lights with adjustable intensity for optimal illumination. In addition, digital image magnification or zoom of up to 4 times is available. The air flow meter PCE-VA 20-set is a measuring instrument for various wind related parameters. It has got an impeller diameter of ten centimeters. Moreover, if required, it is possible to order a set of flow hoods which provide a fast and reliable method which helps to use the 100 mm large impeller head optimally. PCE-VE 320HR is a snake camera, inspection camera or borescope for the non-destructive inspection (NDI) of engines, machines and more. 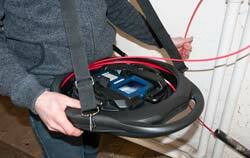 This industrial borescope is an ideal tool for diagnosing issues in hard-to-reach places. PCE-VE 333HR is a snake camera, inspection camera or endoscope for the non-destructive inspection (NDI) of engines, machines and more. This industrial snake camera is an ideal tool for diagnosing issues in hard-to-reach places. - Diameter: Ø 6 mm / 0.24", length: 3 m / 9ft 10"
The Snake Camera PCE-VE 200UV has a dual LED illumination with UV light source and white light LED. The wavelength of the UV LED is in the UV-A range at 365 nm. Due to the switchable light source between UV light and white light LED as well as the possibility to use both light sources combined, the UV Snake Camera PCE-VE 200UV can be used very flexibly. - Camera head: Ø 10 mm / 0.39"
- Cable length: 1m / 3ft 3"
PCE-VE 340N is a snake camera, inspection camera or industrial endoscope for the non-destructive inspection (NDI) of engines, machines and more. This industrial snake camera is an ideal tool for diagnosing issues in hard-to-reach places. - Cable length: 10 m / 32 ft 9"
PCE-VE 360N is a small-diameter snake camera, inspection camera or industrial endoscope for the non-destructive inspection (NDI) of engines, machines and more. This industrial snake camera is an ideal tool for diagnosing issues in hard-to-reach places. The waterproof snake camera head features 3 LED lights with automatic illumination. - Diameter camera head: Ø 3.9 mm / 0.15"
PCE-VE 390N is the ideal snake camera for the analysis of buildings (walls, supports, eaves, gutters, attics, crawl spaces), plumbing (pipes, drains, sewers, wells) and heating, ventilation, air conditioning and refrigeration (HVACR) systems (ducts, furnaces, chimneys, boiler and condenser tubes). - Camera head diameter: 28 mm / 1.1"
- Camera cable length: 10 m / 32 ft 9"
- Especially suitable for chimneys, downpipes, ventilation ducts etc. PCE-VE 350N is a two-way articulating snake camera, inspection camera, borescope, videoscope or industrial endoscope for the non-destructive inspection (NDI) of hard-to-reach places. The waterproof camera head features 4 LED lights with automatic illumination. In addition, digital image magnification or zoom of up to 2 times is available. PCE-VE 380N is an industrial snake camera or inspection camera with a handheld monitor that allows you to gain valuable visual insight into the inner workings of machines and other small spaces such as ventilation ducts, drainpipes and downpipes, sewer pipes, chimneys and more. This semi-flexible / semi-rigid waterproof snake camera is ideal for a variety of industrial and trade applications. - Diameter camera head: 28 mm / 1.1"
- Camera cable length: 30 m / 98 ft 5"
PCE-VE 350HR is a two-way articulating inspection snake camera, industrial endoscope, borescope or videoscope for the non-destructive inspection (NDI) of hard-to-reach places. The waterproof camera head features 6 LED lights (4 front, 2 side) for optimal illumination. In addition, digital image magnification or zoom of up to 2 times is available, plus boost functionality for improved image quality in the dark. - Diameter: Ø 6 mm / 0.24"
PCE-VE 1000 is an industrial snake camera, borescope, videoscope or inspection camera display featuring an exceptionally large 7" high-resolution LCD screen for impressive on-screen viewing capabilities. Display only. Camera cables (from diam. 5.5 mm / 0.22 in, 2-way, 4-way articulation) are sold separately. See accessories to customize. PCE-VE 350HR3 is a two-way articulating inspection snake camera, industrial endoscope, borescope or videoscope for the non-destructive inspection (NDI) of hard-to-reach places. The waterproof camera head features 6 LED lights (4 front, 2 side) for optimal illumination. In addition, digital image magnification or zoom of up to 2 times is available, plus boost functionality for improved image quality in the dark. - Cable length: 3 m / 9ft 10"
Call PCE Instruments' technical support hotline for assistance with finding the right snake camera inspection camera to meet your needs. Our technical support specialists will ask you specific questions about your application or your project, and then recommend a suitable snake camera product for your inspection task. Below you also will find some tips that you should take into consideration when selecting or buying a snake camera. One of the key points to consider when choosing an industrial snake camera is the cable. Snake camera cables are available in many different lengths and diameters. Think about the cable diameter and length requirements needed for your application. In most instances, the diameter is determined by the existing openings of machine components, pipes, vents, etc. With the cable length, it is important not to choose a cable that is too short. If your diameter and length needs vary depending on your application, you may want to purchase a snake camera that accommodates multiple cable diameters and lengths. The advantages of such a snake camera are the one-time purchase price and low follow-up costs for retrofitting, such as purchasing cables with smaller diameters or longer lengths. In many cases, it is necessary to record and store images or video sequences of a visual inspection. Before buying an industrial snake camera, consider whether or not you require this functionality. Nowadays, many digital snake cameras feature a removable SD card memory. A removable SD card makes it easy to download photos and videos to a PC or laptop. With some of the snake camera models, additional analytical software can be purchased. This software provides measurement capabilities for documenting the progress of cracks or fractures. The documentation can be saved or sent via email. PCE Instruments differs from other online shops by providing real customer service and support. We try to find the best, most effective solutions for our customers and maintain mutually beneficial and long-lasting business relationships. Give us a call at +44 (0) 2380 987 035 for PCE Instruments UK or +1 (561) 320-9162 for PCE Americas Inc. to experience our customer service and technical support firsthand. Nowadays there are almost no unfulfilled tasks and unsolved problems in the technological world. 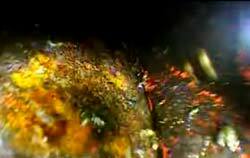 If the eye does not see something and the hand cannot reach, it does not mean that a non-destructive inspection of the hidden place cannot be carried out successfully. Endoscopes or borescopes have won their popularity in different spheres of life, and even the most complicated operations are carried out with their help. Among the wide variety of cameras available on the market, we would like to attract your attention to the so-called snake camera which, as the name says, is as flexible as a snake. This flexibility is gained due to the cable, which may vary in length, and depending on the need and application of the customer, can be customized. The cable of the snake camera has got a special waterproof design and a particular flexibility which makes it possible to use it over longer periods of time. The weight of such camera is tiny, but the video and picture quality are really on a very good level. The lack of the lighting sources is not a problem at all, since the camera lights work more intensively in the darkness, thus enabling the operator have a better vision of the area under inspection. Light-emitting diodes around the lens provide sufficient illumination even under the conditions of complete darkness. From the other side the cable can be connected to the PC, via the USB port, and the video can be viewed in the real-time mode (for some systems directly, for some the installation of the software is required). The CD with the program for computer is delivered and the installation is easy and not time consuming. Besides, the pictures and videos taken by the snake camera can be saved on the computer and viewed later. The modern applications allow the connection to Android, thus, making it possible to carry out inspection and check even if there is no stationary computer available.